Our tour starts in Cornwall’s current administrative capital and her only city Truro. We can visit two Truro highlights, Truro Cathedral and the Royal Cornwall Museum. The only city in Cornwall, Truro has a good range of shops and independent cafes. Sometimes there is an outdoor craft or food market. 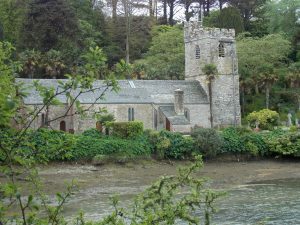 There is a nightlife here too and the Hall for Cornwall is a major venue for shows and performances. Truro is the meeting point of three rivers the Kenwyn, the Allen and the Truro. The cathedral is a relatively modern structure, built in the late 19th and early 20th centuries, but it has the look of a medieval building. 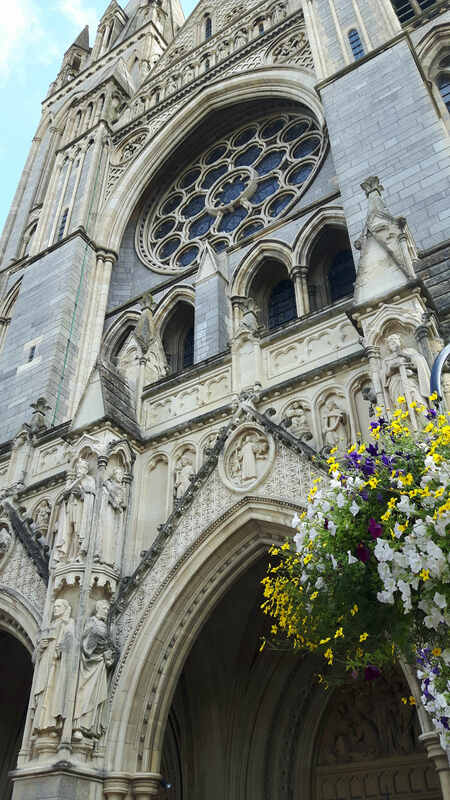 Truro cathedral incorporates the older, St Mary’s church into its structure. This is interesting for those who seek the St Michael ley-line, as it is said to run through the old building. The Cathedral welcomes visitors. Regular services are held and evensong is really beautiful. There is much to admire about the building and it’s structure. I’m usually drawn to the painting Cornubia, Land of the Saints. It depicts a map of Cornwall, showing where the churches are and the saints marching from heaven to take their places. 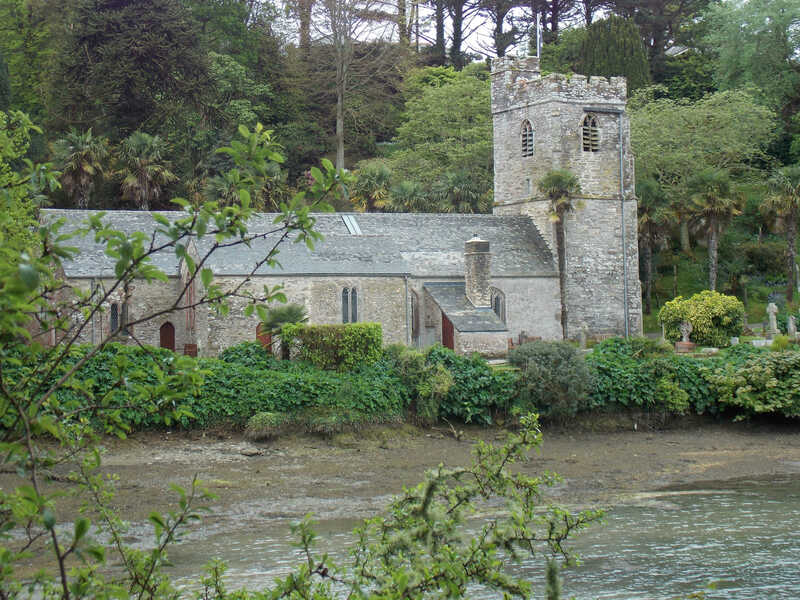 For a long time, over 800 years, the Cornish church was administered from Exeter. So getting a cathedral in Cornwall was very important. It’s a glorious place in a lovely city and provides community focus for many events. It’s a short walk across town to the Royal Cornwall Museum. The great Rashleigh Cornish mineral collection is impressive. 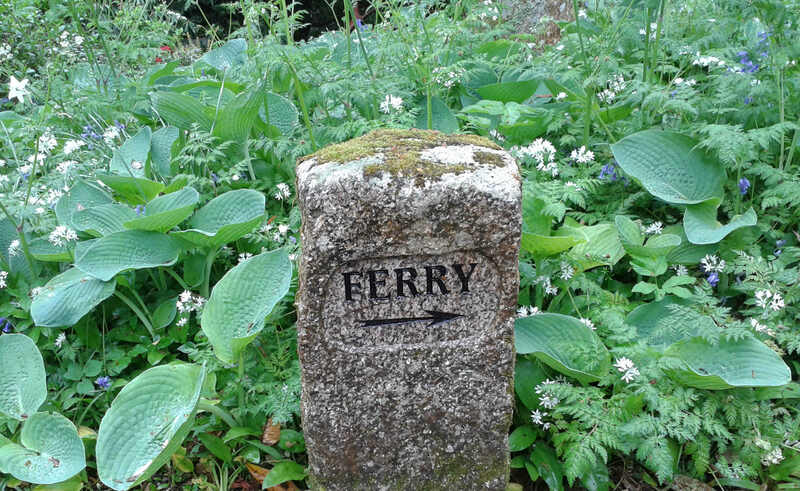 The geology of Cornwall is incredibly rich and varied. I tend to hang around the cabinets that contain some of Cornwall’s best ancient artifacts. I can’t help myself. There’s a Poldark collection here too. We cross the river Truro using the King Harry ferry. The Land Rover sits on top with the other cars. Nearby are Trelissick Gardens. Like many Cornish gardens they are very good to visit in spring. 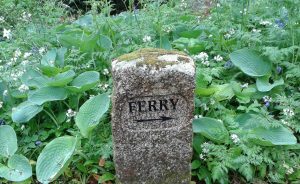 We stop at Trelissick Gardens, it depends on time and on your priorities. What a romantic name Roseland is. It’s probably from the Cornish ‘Ros’ meaning peninsular. But Rose in the modern English sense is apt because the area has been called little Eden. Sheltered and with an almost tropical fee, even the non-native plants flourish. St Mawes is a little village on the Roseland Penninsular. It has is very good fish and chips available and a castle. What more can you ask for? 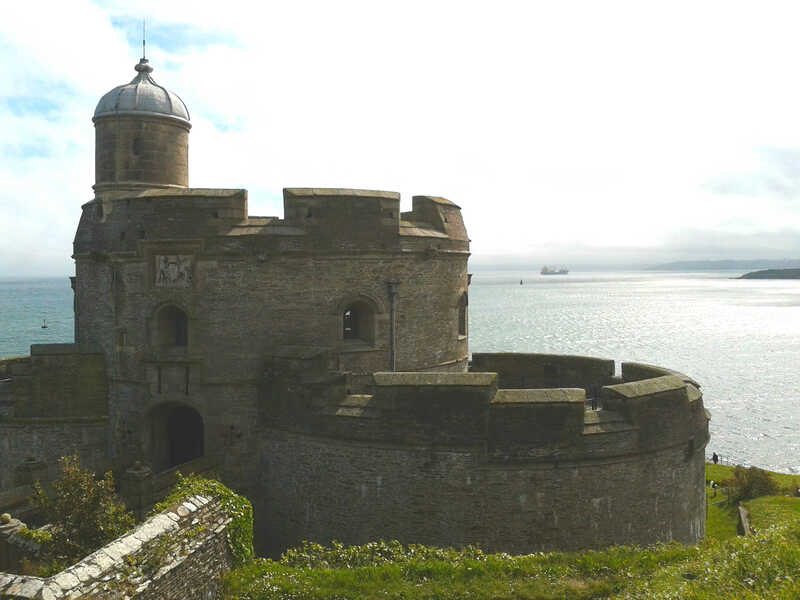 St Mawes Castle enjoys beautiful views. The castle was built for Henry VIII to guard from French and Spanish attacks. It’s sister castle Pendennis is across the water in Falmouth. 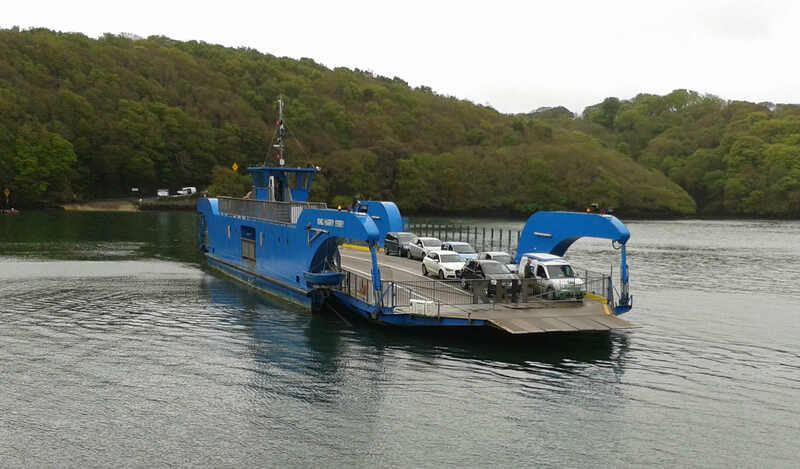 Depending upon time we can take a foot-passenger ferry across the water known as Carrick Roads. On the other side we can see the town of Falmouth, with galleries and shops. The minimum tour cost is £250 for the day, or £55 per person for up to six people sharing the tour. This includes all transport and a driver/guide. If you would like an all-inclusive tour, please add on £50 per person, to include all entry fees, light lunch, morning coffee/tea.